14 local charities have benefitted from the windfall, which will be put to good use. 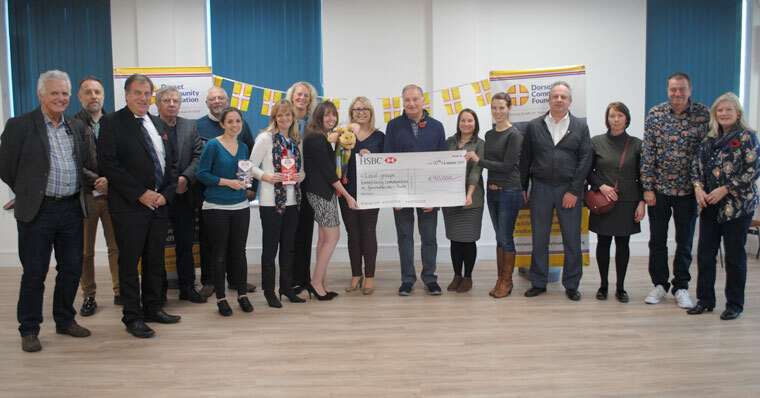 In recent months, 14 local groups and charities have benefitted from vital funding through the Dorset Community Foundation because of a very generous £100K donation from a closing down charitable trust. A health and drug prevention programme for schoolchildren, a dance project for people recovering from addictions and a disabled entrepreneur’s business start-up support programme are amongst some of the funded projects. Jon Yates, chief executive at the Foundation explained, “We are thrilled that we funnelled the generous donation from the closing down charitable trust to support local need. The contact for the trust was very pleased with the results and the funded groups can now carry out their work supporting hundreds of people across our county. We look forward to seeing the impact these grants will make to the lives of so many people in need over the coming months”. One of the supported groups is Vita Nova who received support to continue services for those struggling with addiction and mental health issues. The charity provides access to the arts and other health and wellbeing activities for such people in a safe and supportive environment. Dorset Community Foundation works with individuals, companies and established trusts to inspire philanthropy to address local need. The Foundation manages funding programmes for established trusts and also offers a suitable mechanism for spending down charitable funds where the trustees would like to distribute residue funds to worthwhile causes. You can find out more about the work of the Foundation, by visiting www.dorsetcommunityfoundation.org.